When you’re stuck for three days in a big warehouse with the same group of smart people talking about the future of tech innovation over and over and over again (+beer), you start getting really silly. 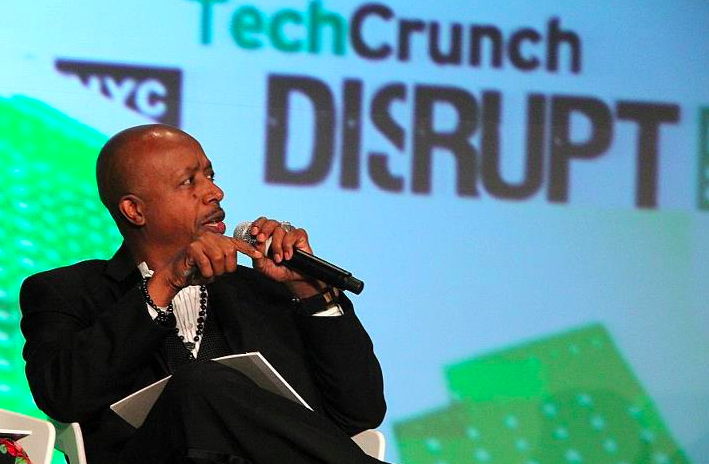 And some of the unique circumstances of year’s TechCrunch Disrupt New York have given us plenty to be silly about. For instance, there are birds, live birds (!) in the conference hall, and in fact I can hear them right now chirping LOUDLY while one of the demo companies presents onstage. The birds are so prevalent that they’ve spawned jokes from some of the speakers, like, “It’s so hip of you guys to hold a conference in a bird sanctuary” in addition to the fake Twitter account @TechCrunchBird, which tweets stuff like, “*Frightened fluttering from music,* “”Disappointed chirp.,” “*quiet listening*,” and my personal favorite, 啁啾 ‪(‘Chirp’ in Chinese). 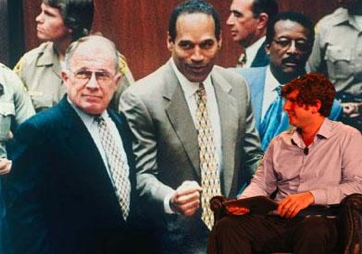 Along with the CrunchBird, we’ve got the “Josh Constine Asking The Hard Hitting Questions” meme, inspired by the fact that Constine, one of our newest writers, GRILLED CEO Tim Armstrong hard on his fumbled moves with TechCrunch and Aol’s other content properties. 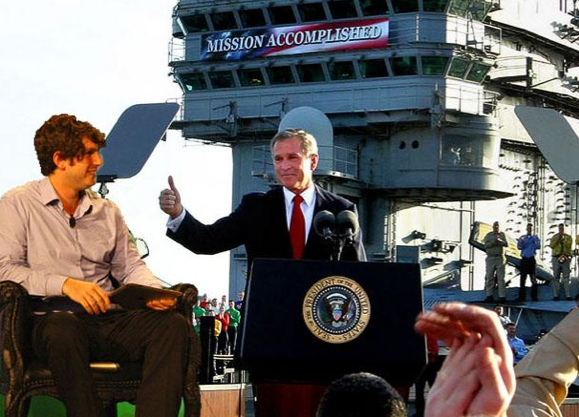 Because the image of floppy-haired Josh taking down the high-powered Aol exec was so hilarious, we thought about some other situations in history where Josh’s mad interviewing skills and unerring, bloodthirsty quest for the truth could have come in handy. The sight of TechCrunch editor John Biggs riding around Startup Alley on a motorized beer cooler was so ridiculous that we turned into an equally ridiculous gif. And yes, you could pretty much watch this forever and never be sick of it. You know what else we will probably never be sick of? Putting MC Hammer on stage, and this year we got him up there twice as a Startup Battlefield judge (because of confusion he showed up late), resulting in a slew of “Judge Hammer Presides” jokes. The Hammer caption contest winner? Well “You have to ask yourself — how legit am I, in regard to my not quitting?” definitely has my vote. 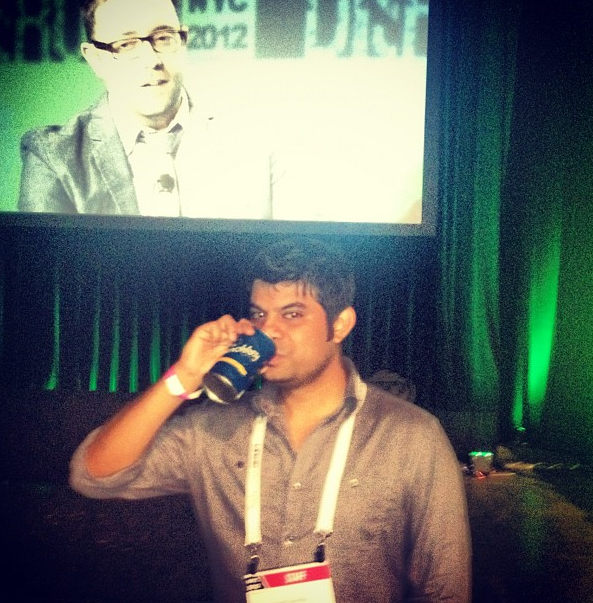 And speaking of hammered, here’s a random picture of our head developer Vineet Thanedar getting drunk on Churchkey beer at 10am. See you at Disrupt SF!